Diesel Cars Excise Duty Hike Haunts Yet Again ! We have talked about the strong possibility of diesel prices in India to be deregulated in 2012 as revealed by some top official from Prime Minister economic advisory council, but the situation seems to be very unlikely for such implementation. While it makes economical sense to gradually deregulate diesel, but it doesn’t make political sense to do the same- and when it comes to Economics Vs Politics, we all know which of these have stronger weightage in India. Prior to the announcement of Indian Union Budget of 2012-13, there were a lot of speculations Of Diesel Car Prices going high based on the expectations of additional excise duty on diesel cars of Rs. 80,000 to discourage the sales of Diesel cars in India, however there was no such decision taken at that time. Now after steep rise in petrol prices across India by Rs. 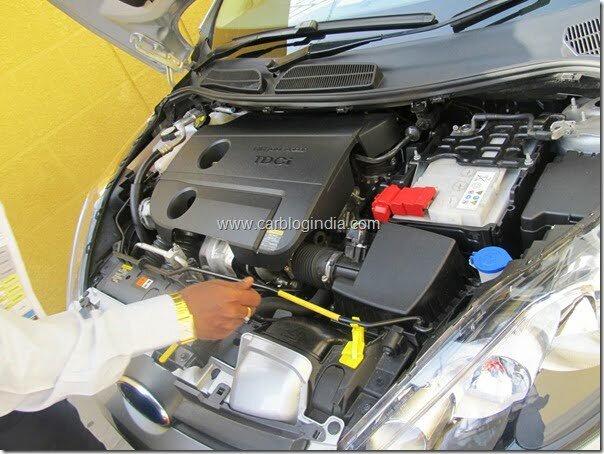 7.50/litre effective from 24th May 2012, there has been more skew in the demand of Diesel cars in India. With price difference of petrol and diesel fuel even more now, the demand for diesel cars is rising even further. The diesel fuel used by these cars is subsidized by the government and is causing financial losses to them. Now there has been another round of discussions on the hike in the excise duty or implementing a special excise on the diesel cars in India as proposed by the Petroleum Ministry to Finance Ministry. Another round of discussions are taking place between the top officials for considering special excise on diesel cars which will subside the losses on subsidy of diesel used by these diesel cars when they use cheaper subsidized diesel fuel. There is a meeting of empowered group of ministers on the matter of prices of fuel which is likely to happen on 1st June 2012 in India. There maybe a decision on the hike in excise on diesel cars to make them even more expansive compared to petrol car so that less people buy diesel cars. The price difference between the petrol and diesel cars is already quite high with a typical small car close to Rs. 5 Lakh price bracket for a petrol version will cost close to Rs. 6 lakh for the diesel variant. This difference is as huge as Rs. 2 Lakhs to Rs. 3 Lakhs for the more expansive diesel cars. Besides this price difference, about 60% to 70% new car buyers are opting for diesel cars. Many car makers have already started offering special schemes on petrol cars to increase their sales compared to diesel cars and to balance the petrol and diesel car capacity ratio. We will keep an eye on the developments and keep you updates about any policy changes, excise changes or special duty if applied to the diesel cars in India. Do stay tuned to us for latest updates.